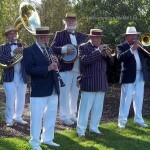 Traditional Jazz Band dressed in whites, stripes and boaters, just perfect for a summer party or reception! Traditional Jazz reached its zenith in the 1920’s when ladies shortened their tresses and bobbed their hair. 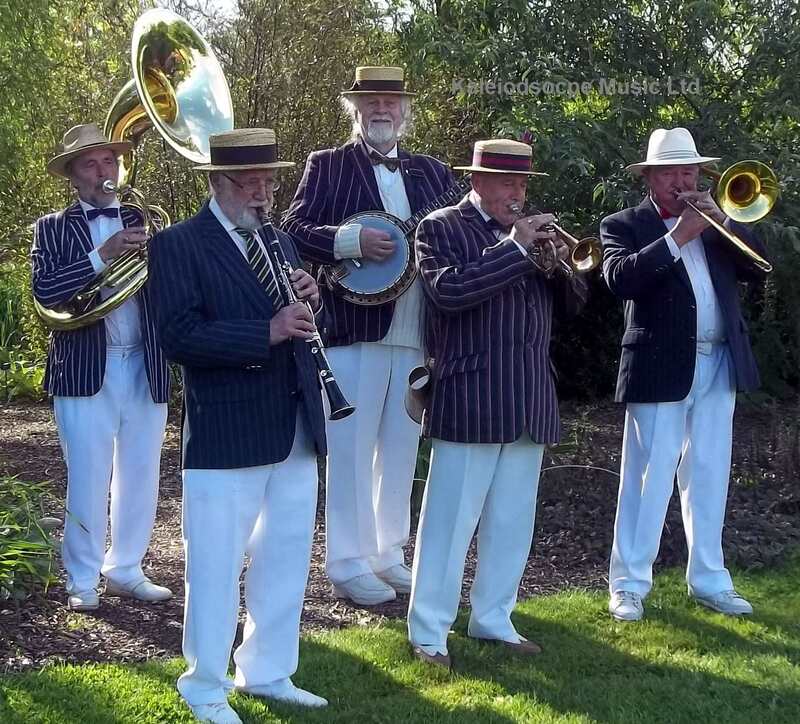 Also sometimes referred to as a Dixieland or New Orleans Jazz, this music is about spirited ensemble playing with an emphasis on Rags, Marches & Stomps. 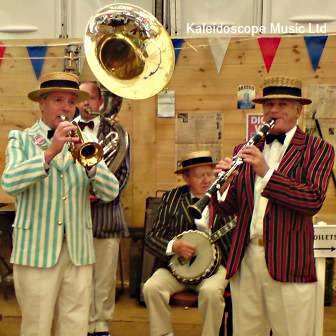 Typically, a ‘Trad’ Band will include acoustic instrumentation such as Clarinet, Banjo, Brass Bass, Trumpet, Trombone. 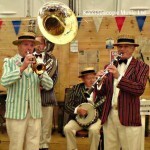 Percussion & Piano can be included in larger groups. 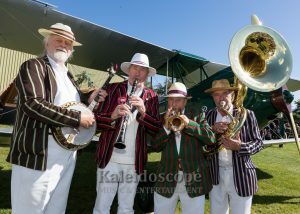 The Kaleidoscope Traditional Jazz Trio, Quartet & Quintet have performed at many events around the Hampshire, Surrey, Dorset & Sussex counties during recent years and are often in demand to travel further afield! 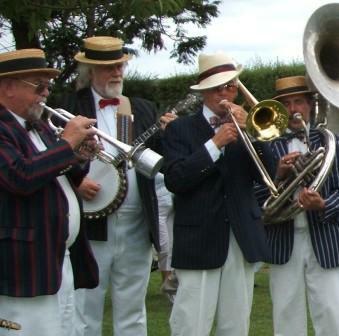 Regular venues include: HMS Warrior, Goodwood House, Chewton Glen, Henley Regatta, Spinnaker Tower, Royal Ascot and the Tower Of London.